This is the Rua from the Pronovias Altelier 2018 line. It features a clean crepe front with an elebroate lace back from top to bottom. 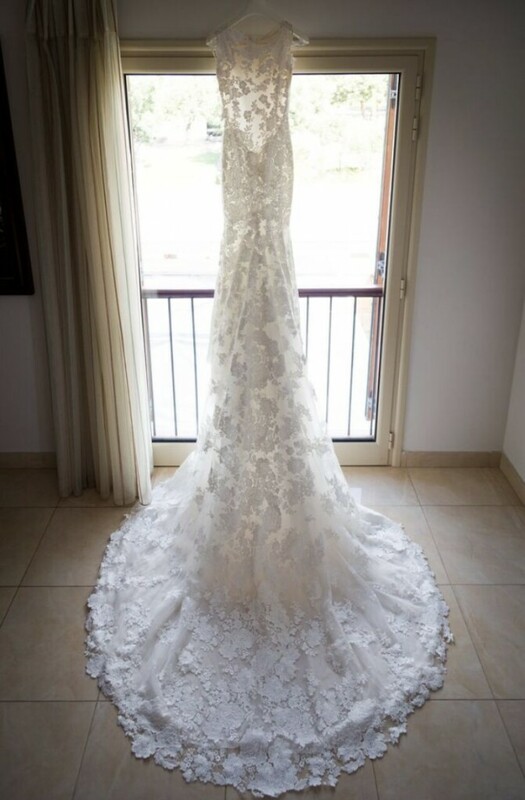 There is an illusion back and a dramatic royal length train decorated with Pronovias lace. This dress is the version with the lining underneath from the lower back down (not the see through version as seen in picture one) This dress has been dry cleaned and is in perfect condition. I worn a bodysuit underneath which included bra cups so no bra cups were sewn into the dress.